*A break from all the singapore post.. I went for a shoot for a magazine yesterday. haha first time ever and it was fun!! Looking forward for more of those.. The article’s about chocolate so I made some chocolate desserts which are … easy to make or so I reckon hehe.. It will be out in December so watch out! I managed to snap a pic with the setting n stuffs..
Food photography is interesting!! and it is something I want to get better at..
Chocolate truffles get their name from the fungi variety found buried in the ground. This is due to their round often uneven shape and their dark and dusty appearance. Generally, truffle centers are smooth, moist and single flavoured. Truffle varieties are usually achieved by infusing the cream with desired flavour while making the ganache or by incorporating oil or alcohol into the ganache. 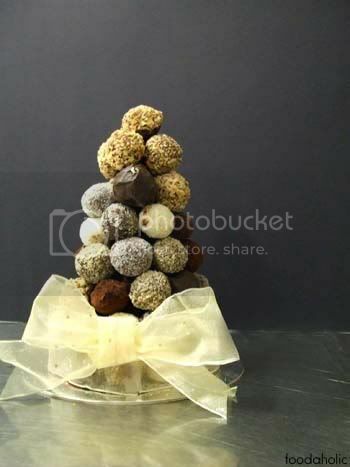 Some may contain nut pieces in the center..
Truffles can be made in white, milk or dark chocolate or a combination thereof, as long as recipe is balanced and takes into account of the type of chocolate being used. « Singapore Trip : Blog Awards Night, Food!! You're amazing! I am so glad you left a comment on my blog. I am blown away just by the fact that you're cordeon bleu trained! That in itself speaks volumes of your passion/talent. Also, congrats on attending the NN awards. Hope you enjoyed yourself! The Little Teochew: omg *blush blush* did u go to NN awards?? 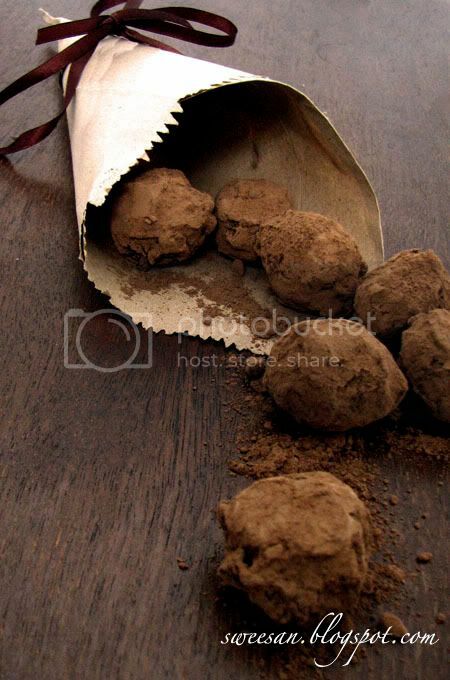 chocolate truffles!! nice.. I made some too yesterday!